The new appointments comes on the back of recent news that Kilwaughter will create up to 30 new jobs over a two-year period, in response to what it has described as the most positive market conditions in recent years.In the past three months, Gary Doey, Gerry Mc Erlane and Robert Mc Curdy have taken roles at the manufacturer’s headquarters, expanding the R&D team to nine. 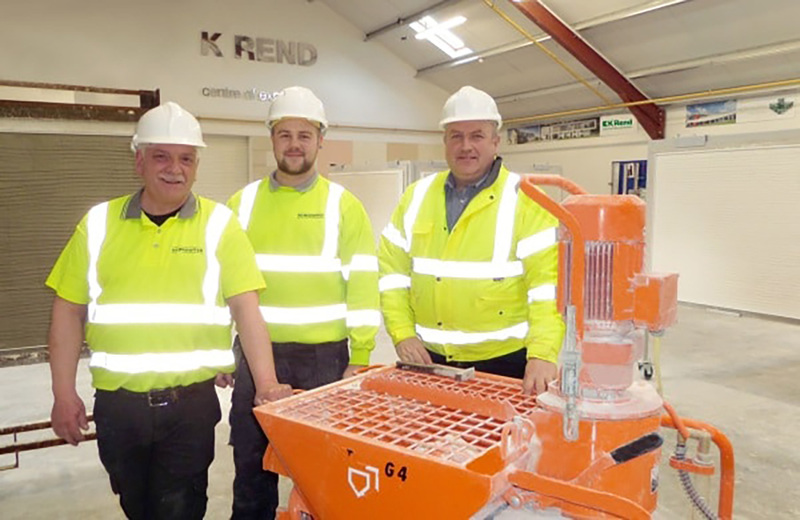 The new recruits will be primarily focused on the production of K Rend, Kilwaughter’s leading specialist exteriors brand.The new recruits all have an extensive history within the plastering industry, making them strategic hires for creating and developing new and existing products, which meet the needs of the end user. These hires will offer practical working knowledge of the industry and complement the existing academic strengths within Kilwaughter’s R&D team. This latest investment in people reflects the ambitions of the company. Dr Ross Savage, Head of Research and Development at Kilwaughter, said, “Kilwaughter’s growing success is grounded in a continued investment to R&D. Our new recruits all have experience working directly with render. This practical approach enables us to produce the highest quality of product, which will continue to provide solutions that satisfy the most demanding requirements. All three of our new appointments are assets to the department helping us maintain Kilwaughter’s high reputation for developing innovative brands.” Kilwaughter Minerals Ltd boasts 78 years of heritage and introduced its K Rend brand to market in 1989. It is on target to create 30 new jobs and invest £5m over the next two years.